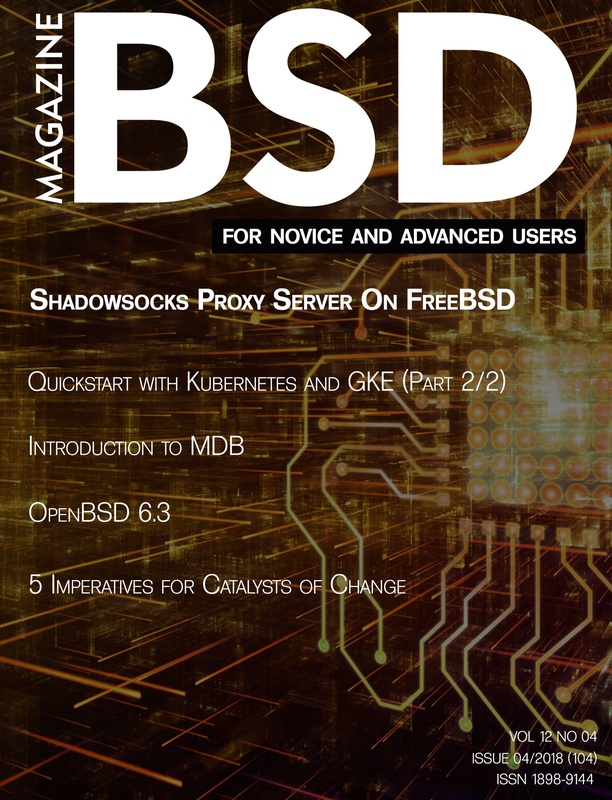 This BSD Magazine issue features an article showing you how to get started with Kubernetes and GKE, what Shadowsocks Proxy Server on FreeBSD is, an introduction to MDB (modular debugger), an interview with Sanel Zukan the Founder & CEO of Hedron, and more. You may download the PDF/EPUB here. Please note that you need to need to create an account and login to obtain the magazine. I hope that you are fine, and more importantly, you are optimistic that the future looks promising and bright. First, I would like to thank you for taking part in the survey we rolled out last week. The survey is closed, but if you liked this type of engagement, your ideas such as how to streamline it are welcome. Additionally, if you would like to add your 2 cents, feel free to send me an email at ewa@bsdmag.org.